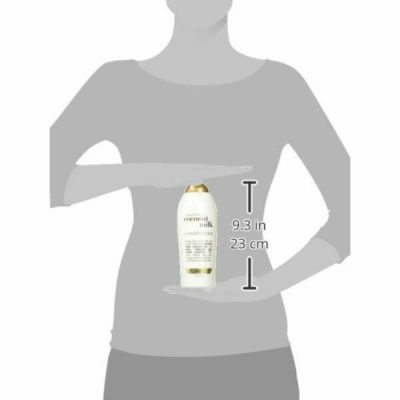 Coconut milk is widely used for its moisturizing properties for hair. There are various natural hair care products that contain coconut milk to help improve hair health. 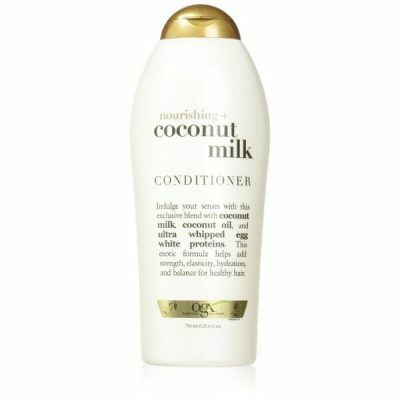 OGX Coconut Milk Nourishing Conditioner works great for dry and damaged hair. 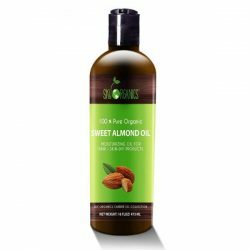 It replenishes hydration to keep hair soft and smooth. The formula also contains other organic ingredients such as coconut oil and whipped egg white. Regular use of the conditioner improves hair health and makes it more resilient to damage. Since breakage is a common hair care concern, it is important to look for the right hair products that will protect hair from such damage. To battle dryness and brittleness, OGX Coconut Milk Nourishing Conditioner used ingredients that provide moisture and nourishment to the strands. 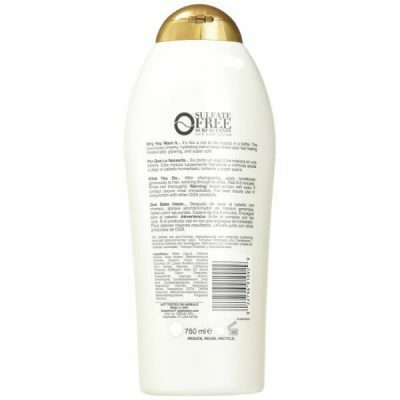 The formula has a creamy and foamy texture perfect for all hair types. Egg white is rich in proteins, which are good for brittle hair. They provide strength while improving the elasticity of hair to be able to withstand daily hair damage. The formula does not contain sulfate or paraben to keep hair healthy and lustrous. One of the serious effects of these chemical ingredients is that they can damage hair by making it dry and brittle. OGX Coconut Milk Nourishing Conditioner contains other extracts such as jojoba oil to protect hair from dryness. 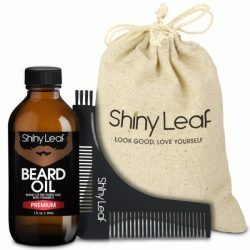 Each ingredient in the product helps give hair extra strength and shine. Drying shampoo is an enemy of hair. This conditioner helps repair hair to get rid of split ends. The formula of this nourishing conditioner will bring back the shiny and lush appearance of hair in no time. Both coconut oil and egg white promotes healthy hair growth too. 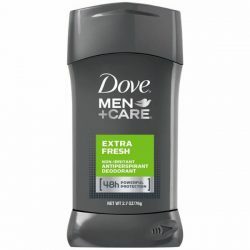 The conditioner makes hair softer and easier to handle. It makes styling hair more enjoyable. Even when using heating tools to style hair, there is less damage. 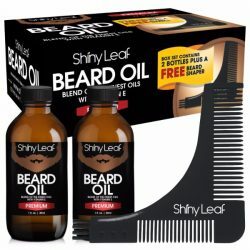 This is because hair gets stronger and healthier with daily use of the product. For external use only. Avoid direct contact with eyes. Rinse immediately once contact occurs. After rinsing shampoo from hair, wring out excess water to make sure that hair absorbs the conditioner. Use a dime-sized amount of conditioner and apply liberally to hair from mid-lengths to tips. Massage hair for 1-2 minutes. Leave it on for another 3 minutes before rinsing off with lukewarm water. Use daily to get great results.